It took a little longer than I'd hoped, but at long last Zbigniew 'Zbych' Ross and Michał 'MCH' Brzeski's YOOMP! 64 has finally been released! Available now as a 'pay-what-you-want' download, disk and (of course) cartridge, from itch.io, Psytronik and RGCD respectively. The all-important links follow! 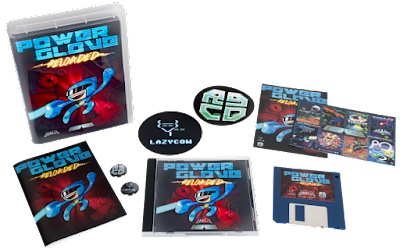 Buy the game on disk HERE (Psytronik Software). YOOMP! 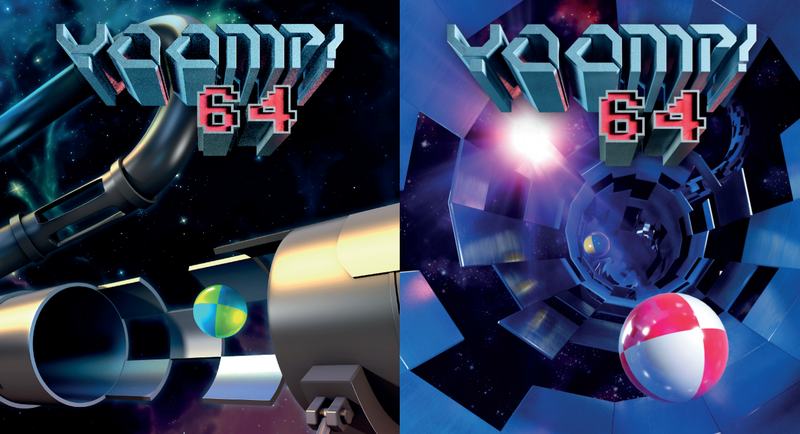 64 is a Commodore 64 port of the classic Atari XE/XL indie arcade game Yoomp! Developed by Zbigniew Ross and featuring an original soundtrack by Michał 'MCH' Brzeski, bounce the ball through 23 three-dimensional textured tubes, collect as many points as you can and try not to fall off the edge! Note that YOOMP! 64 is a PAL ONLY game. 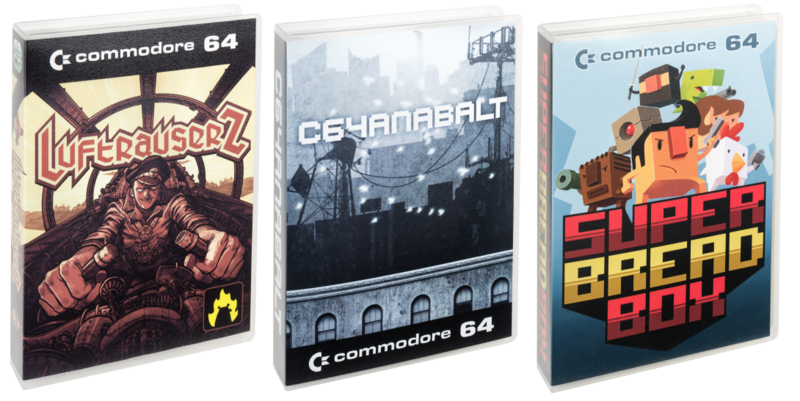 It will NOT run on NTSC Commodore 64 systems. 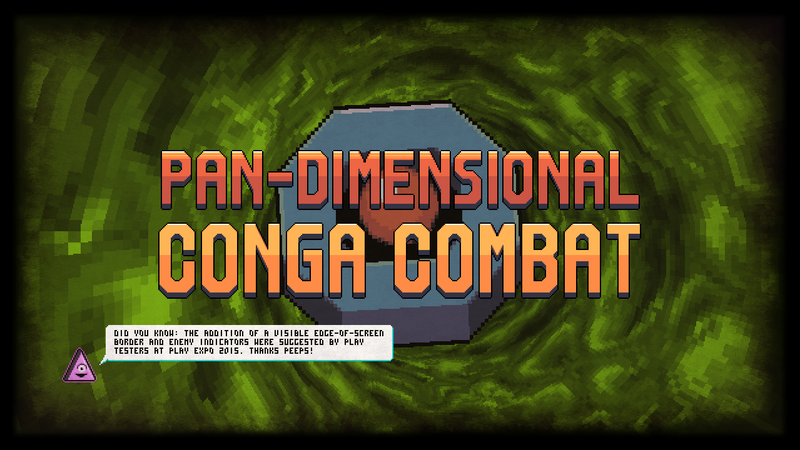 23 levels of three-dimensional, fast-paced, rhythmic arcade action! 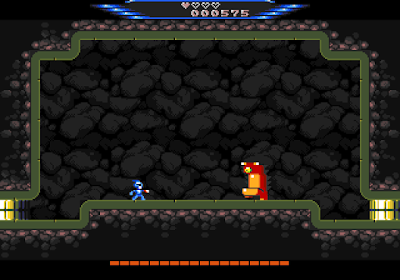 Over a dozen bonus and hazard tile types to hit or avoid! Password system to play previously unlocked levels! An awesome SID soundtrack by MCH! 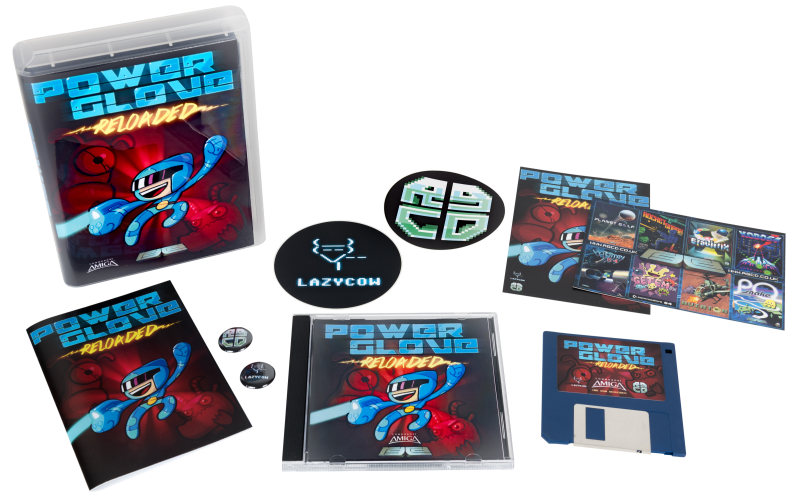 Please also note that as I felt we'd let Zbigniew and Michał down with all the (sadly unavoidable) hold-ups, RGCD are not making any profit on this release, so all money (minus costs and fees) will be going straight to the development team. So, please be generous and show your appreciation by sending a few virtual coins their way! The cartridges are currently out of stock, but the page is open for pre-orders (so you can yoomp to the front of the queue for the next batch). The games will ship at the beginning of September. Finally, Javier Couñago of Commodore Spain sent me this amazing photo of YOOMP! 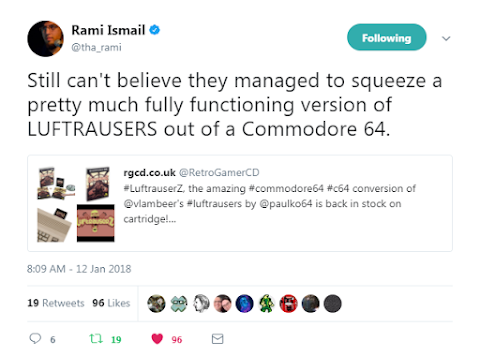 64 being played the way it should be played - in an arcade tabletop C64. Just wow. Waaaaaaaay back in 2014 I compiled a list of the various easter eggs that have been hidden away in the spare rom space of our game cartridges. Since then we've released quite a few games - and although not *all* of them have featured secrets, I figured that enough time has passed to spill the beans! It was a real honour to be involved in the release of Retream's leftfield arcade game MAH, and this greedy little easter egg game was added as a personal request of mine. You see, back in 2012 we released a cartridge version of Quod Init Exit, a beautiful looking single-screen eat-em-up using multiple, layered hi-resolution sprites that really looked more like an Amiga game than a Commodore 64 one. However, following the release, Simone decided that he wasn't done with the game and released a series of updates that rendered the cartridge version obsolete - meaning that I had no choice other than to remove it from sale. So when Simone was looking for something to pad out the huge space on MAH's gnod2 rom, I knew what had to be done! To load the (now) final version of Quod Init Exit, press Q on the main menu. It's as simple as that! You can buy the cartridge HERE. Another of my favourite secrets, courtesy of Jason Kelk and 4-Mat at Cosine Systems! Originally released back in 2003, Warpzone Remix was one of the early Cosine games that I'd always wanted to get on cartridge, and with Rocket Smash EX that finally became possible. An oldie, but a goldie, this arcade blast is launched by simply holding down FIRE on the joystick in port 2 when booting up the Commodore. I particularly love the way that it drops you back to BASIC as part of the loading sequence! Worth booting up for 4-Mat's amazing soundtrack alone. You can buy the cartridge HERE. Hats off to RGCD's own Antonio Savona for producing the most convoluted easter egg to date! 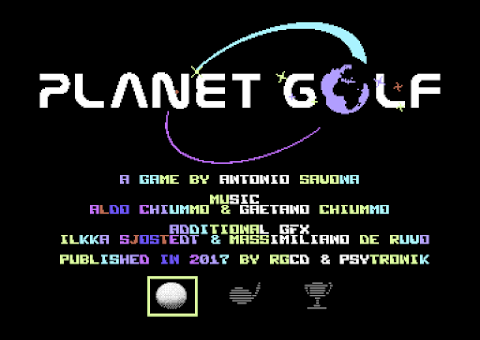 To access this neat two-kilobyte, open borders, casual-yet-crazy-hard minimal arcade game, first you need to achieve a high score in Planet Golf - which is no mean feat in itself! 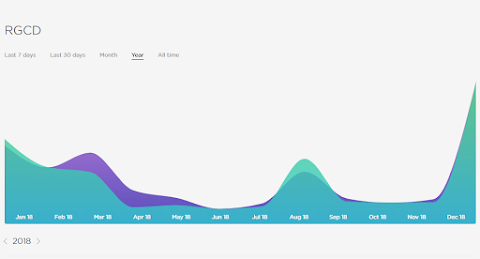 Enter your name as "I WANT MORE", and then the name entry will change to "SPACE FOR 2K RACE". Follow those instructions, and boom! Now you can 2K Race to your heart's content! What's a reward without the risk? If you want to listen to all six music tracks in Paul Koller's LuftrauserZ without unlocking all the parts, you'll need to do something a little risky... From the options menu, select 'RESET GAME' - but hold DOWN on the joystick AS WELL as holding FIRE for three seconds. This will NOT reset your game, but instead load this little juke box! 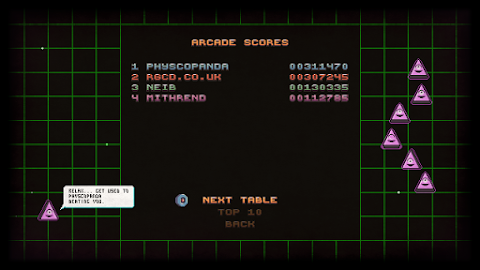 Use the joystick (left and right) to select the track, and read the short lower-border scroller text. Moving on to the out-of-stock and discontinued titled, Trance Sector Ultimate received a limited release on cartridge back in 2015 (50 copies only). 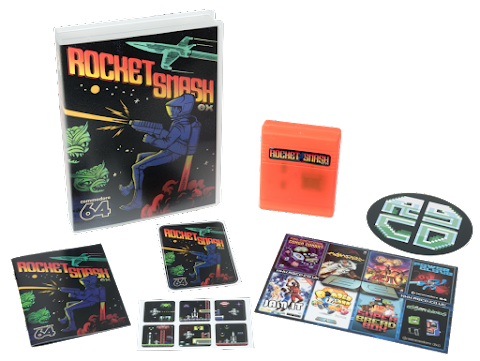 For those who have it, you might be interested to hear that another of Richard Bayliss' game was also hidden on the cart! 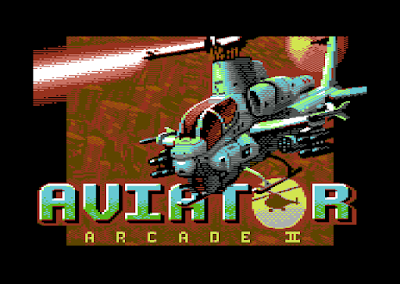 Originally an entry in our 16KB game development competition, this version of Invert is the full-fat TND version, and can be loaded by holding UP on the joystick in port two when booting up the Commodore. Although the cartridge itself is no longer available, the download of TSU can be found HERE, and Invert itself can be downloaded separately from the TND website. Another limited edition release (yet one that I'd like to make available again in the future), Darkness also had a couple of undocumented extras; Darkipede, a homage to the Atari classic using the game sprites, and the Darkness OST, a joystick controlled jukebox similar to the one hidden in LuftrauserZ. 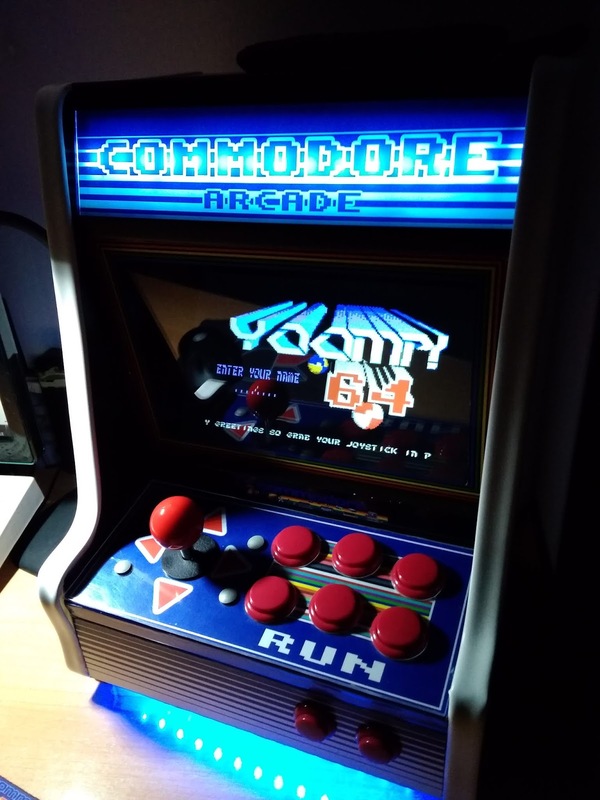 To load the games on the cart, after the intro sequence push UP on the joystick to load Darkipede, or DOWN to load the OST. 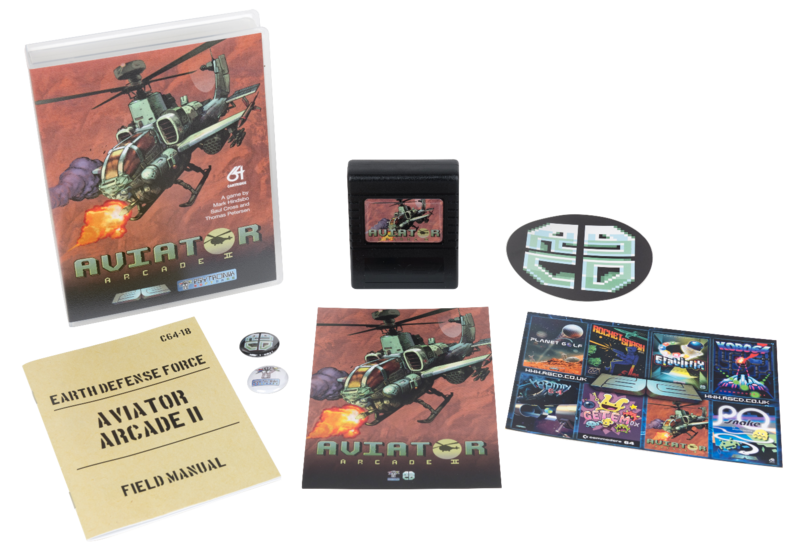 Finally, this Kickstarter exclusive Tiger Claw cartridge was stuffed full of extras! I'm not sure whose idea this was, but in addition to the original game, the cartridge also featured an illustration of Bruce Lee, plus two full games by Wanax; Jump Ninja and Break 64. I'm not sure, but I have a sneaking suspicion that one of these (if not both) were altered slightly for the cartridge version, removing any necessity for keyboard. If so, they've not been publicly released AFAIK! To load these, hold down FIRE on the joystick when booting up the Commodore. When you see a blue screen, continue to hold FIRE but also push UP for Break 64, LEFT for the Bruce Lee picture and music, or DOWN for Jump Ninja. Make sure to let go of fire as soon as you see the loading indicator '@' in the bottom right of the screen! 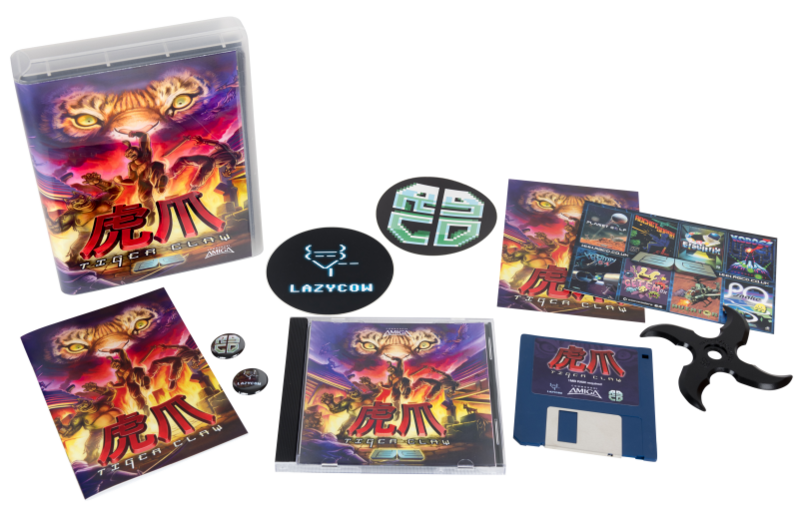 Tiger Claw is available to buy as a downloadable .crt HERE. And that's all till next time! 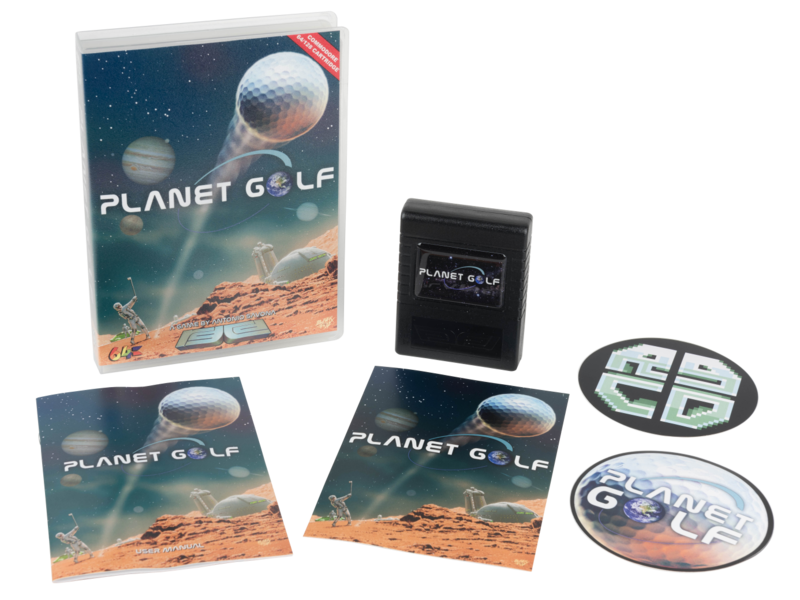 Planet Golf Available (Again) on Cartridge! PLUS the Space Lords are Back! Planet Golf is a stunning 2D golf simulation that takes place across 99 levels on 5 different planets in the solar system, each with its own realistic physics, unique terrain and devious obstacles and enemies! 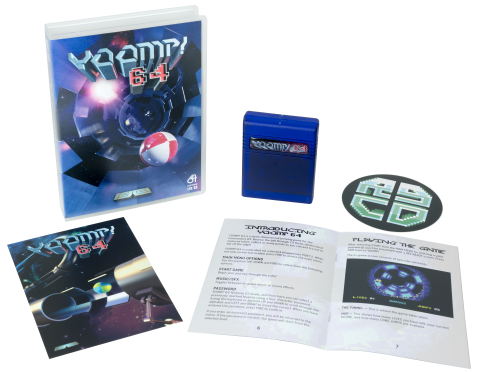 Packed with innovative touches, flawless presentation, superb sampled speech, effects and humourous touches this is an unmissable release for C64 gamers! 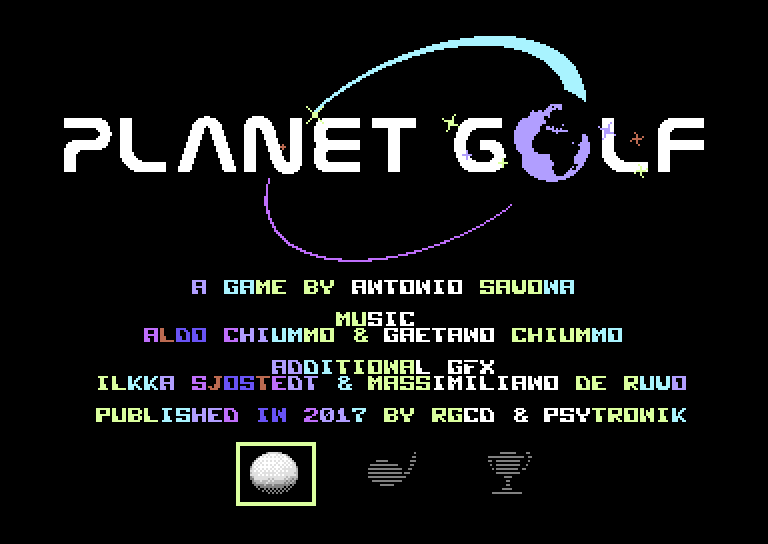 Planet Golf is a Psytronik & RGCD Production. For full details on the game, please check out the official press kit here. In addition to this, we've been continuing to work away behind the scenes on reissuing some of our long-out-of-stock releases, and this week I'm proud to say that p1x3l.net's awesome multiplayer party game Space Lords has returned to our store with a new cover, English/German manual and cartridge label! 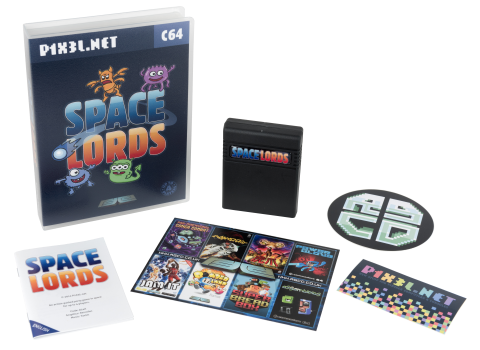 You can grab a free download of Space Lords (Centaurus) from our itch.io page here, and buy the cartridge from our store here.